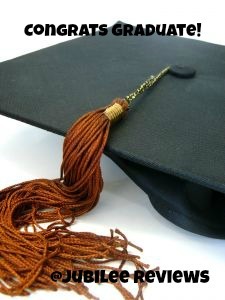 The diploma has been handed out, the festivities have gone off without a hitch, now what? The summer is going to zip by and your graduate will soon be taking up new residence in their dorm room. 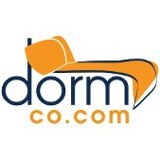 Dorm Co is your headquarters for all dorm supplies! I have found that dorm necessities make wonderful graduation gifts as well. Everything from rugs to light fixtures and in between is available at fantastic prices from Dorm Co.
Have you been in a dorm room lately? I remember from my days, that electric outlets are at a premium. They give you just a couple and you run power strips throughout the room so you and your roomies can stay plugged in. Whenever you can utilize combining units you will be that much ahead! One thing that is going to change for my graduated homeschooler this fall? The need for an alarm clock! Spoiled kid hasn't had to use one very often these past 12 years, but times are a changin' aren't they. The great thing about this Sonnet Alarm Clock Radio (besides it will hopefully get him up in the morning) it has a USB port for plugging in your cell phone. One less item to be taking up those precious outlets in your dorm room. Shipping is only $2.95 for any size purchase, no minimum or max!